I get a lot of questions on my blog, Dementia By Day, regarding what to tell loved ones with dementia about their friends and family who have passed away. These are always tricky situations, because, while we don’t want to “lie” to our loved ones with dementia, we do not want them to mourn the loss of a family member over and over again. My answers to questions like these always revolve around the same principle: wherever your loved one with dementia thinks their friend or family member is, that’s where they are. In order to use this technique, your best bet is to ASK the person with dementia where they think their loved one is. For example, “Mom, where do you think dad is?” will probably give you the best idea for how to proceed. If your mom thinks her husband is at the store, he’s at the store. If she thinks he’s mad at her, he is mad at her. Although it is upsetting for your mother to think that her husband is angry with her, this is far better than trying to understand the fact that he’s passed away. Conceptualizing that someone is angry with you is much easier than conceptualizing the fact that they are dead—especially when you can’t remember. 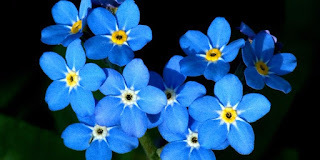 Your loved one with dementia cannot remember that they’ve lost someone, and reminding them of this fact is just cruel. It’s not helpful—it’s just painful. There is no such thing as “lying” in dementia care. Lying does not exist in a world that has so much gray area. Our friends with dementia cannot understand and conceptualize all of the things that we can. It is up to us to make their world more comfortable, simpler, and kinder than the one we live in. So, by asking a person with dementia “where” they think their deceased love one is, you have the ability to go along with their story. You do not have to feel as though you are lying. Instead, all you have to do is agree. Rachael Wonderlin blogs and answers caregiver questions about Alzheimer's and dementia on Dementia By Day. The Alzheimer's Reading Room contains more than 5,000 articles and has published daily since July, 2009.